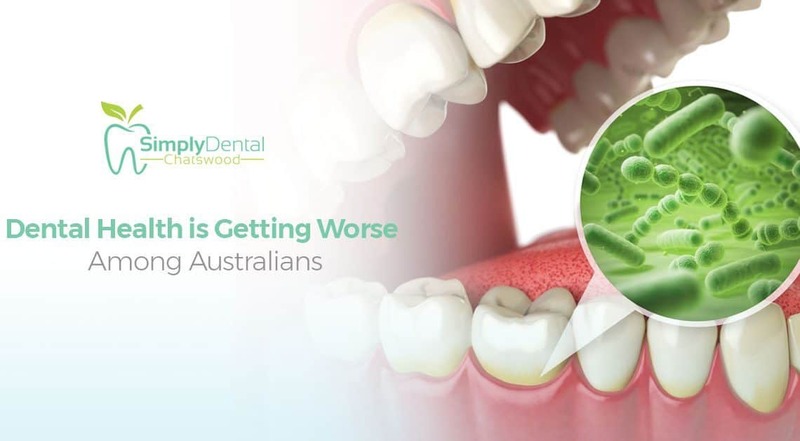 Dental health in Australia is getting worse, that’s the overarching message of multiple reports from different sources. First, it was the Australian Dental Association (ADA), then the Royal Flying Doctor Service (RFDS), and more recently the Australian Bureau of Statistic (ABS). The ADA report last 2014 shows that tooth decay has declined globally since the 1970s, but the situation in Australia has been different. First, there was a decline in tooth decay incidences, then from 1997, the incidences started to increase again. About half (49%) of the adults forget to brush their teeth before bed. Plus, tooth decay is the top chronic disease among Australian children today, five times more prevalent than asthma. Disturbingly, the situation has been getting worse the last few years with 11 new incidences of tooth decay reported yearly. The Royal Flying Doctors Service (RFDS) report paints an even starker image.They found that people living in remote Australia are almost certain of getting cavities and tooth decay The report also revealed that 55% of children in the countryside have cavities. RFDS CEO Martin Laverty cautioned that if left unchecked, the situation could cause a lot of problems to the country. “Children that have cavities may not be able to learn properly and even growing up strong and healthy is impossible,” he said, adding that poor oral hygiene plays a role in cardiovascular and kidney disease. The ABS report in 2016 on the other hand, discussed some reasons more and more Australians might be getting cavities. The report found that most Australians feel that the cost of dental care is beyond their reach. It quoted one Martin Atherton who said that he had to live with “excruciating” pain of a decayed molar for more than a year just because he couldn’t afford to see a dentist. He says that “this option was the cheapest” he could afford. Unsurprisingly, Martin isn’t alone. According to the ABS report, millions of Australians have been avoiding the dentist or have intentionally delayed dental appointments because they couldn’t afford it. One in five Australians didn’t visit a dentist in 2015 because of cost and one in 20 delayed their dental visits for the same reason. This increased from 2012, when only one in 12 delayed their dental visits because they couldn’t afford it. The ABS report concurred with the RDFS findings that people in the rural areas were the most disadvantaged on dental health care. Over 28.3% of people living in rural areas didn’t see a dentist or delayed their dental visits in 2015 compared to about 12% of people in urban areas. Additionally, Australians aren’t just skipping dental visits, they are also not getting prescribed medications after visiting the dentist. The ABS report stated that out of the Australians who visited a dentist in 2015, 7.6% said they delayed or were completely unable to get the prescribed medication due to the cost. This is simply unacceptable. Dental health is important as general body health and leaving Australians to endure pains and lose teeth just because they can’t afford dental care is a very poor showing from the Federal government. The Australian government is tasked by the Australian constitution to allocate funds dental services in the country. The situation signals that the government hasn’t been doing enough. The RDFS talked about rolling out the flying doctors service nationwide that would reach areas that has no dentist. The program has already been rolled out in parts of NSW, Queensland, and South Australia and provided dental care to more than 11,500 people in 2015. It is part of the solution. We can complement this by relocating dentists. Have dentists spend more time in the towns. In this way, they’ll have an opportunity to learn about the locals and promote dental health awareness, in addition to treating decays and other diseases. Third, people need to be taught of dental health and how to take care of their teeth. We just assumed that people know that they should be brushing their teeth twice a day. But the ADA reported otherwise. Some have also stopped prioritizing dental care that’s why there has been a number of delayed dental visits. The government needs to start programs to sensitise the public about oral hygiene. Last but not least, Australians need to avail dental health insurance. This could encourage people to visit the dentist more and do not delay on their appointments as dental care will become more affordable. Insurance plans cover most basic dental treatments, including some preventive dental care procedures. If these measures are implemented, tooth decays and cavities would decrease. But more than these, the most effective way is for each person to take care of their teeth and gums. Plus, get dental health insurance today and start seeing your dentist Chatswood again for subsidised rates. You’ll thank yourself in a few years.